Our Services Large or small project - we can help. We have worked on hundreds of projects since we started BYZ. Our clients include some well known major brands through to small part-time owner managed businesses. Our extensive library of code and VPCart bolt-ons means that we can deliver outstanding value regardless of budget. Installation Service Why spend your valuable time doing the technical stuff when we can take care of it for you. As you can appreciate the time and complexity of installations varies with what needs installing and where. We are happy to provide this service at a very competitive cost but we need to find out as much information as we can from you. Please get in touch at supportmail being sure to tell us what you want installing and the url of your website. We'll then get back to you as soon as we can. Because we specialize in programming and software development we have significant technical skills and expertise which combined with the resources we have developed, such as our code libraries, means we can deliver quickly and cost effectively and our resources and expertise mean that you’ll be able to offer a far wider range of service opportunities to your clients. We can help secure your website against hackers and if your data has been effected we can quickly help to clear and clean any infection or corruption. There are many companies who specialize in search engine optimization and charge substantial fees for their services. We believe that any competent web professional with a reasonable knowledge of VPCart, some basic html skills and our VPCart SEO software can achieve very good results for their clients. It is an excellent opportunity to offer premium value services to your clients by involving us. Sometimes you may need help and need help quickly, we can offer you a rapid response service to help put things right. It could be that your site has been hacked, or has crashed, or your regular developer isn’t available and you need to get something done urgently. Get the idea? We’ll try to start work as quickly as we can (usually within a few hours if we receive your order during normal UK working hours). We require a deposit prior to commencement, and we ask for a minimum deposit payment of 1 hour’s worth of time. If the job takes less time than that then we’ll refund the balance. If it is likely to take longer we’ll liaise with you to discuss a plan. We will contact you using the email address you use to pay your deposit. If you have alternative contact details please let us know. 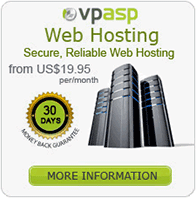 We do not provide a hosting service but we recommend hosting from VPCart. They offer several options and an excellent range of features with their packages. We have been working with VPCart since 2003. In that time we have developed over 70 bolt-ons and have worked with over many clients helping with installation and customisation.